Let’s start with Republican candidate for Governor Rick Lazio. How could he not see the huge 200 mile an hour “momentum” train running over him and having a nice cushion landing at the footsteps of rival Carl Paladino. Lazio tried to ignore Paladino, to run out the clock, a sort of “Rose Garden” strategy. However mistake number one, to use such a tactic, you should be well liked by the base, and let’s face it, support for Lazio with the Republican Party Faithful has been luke-warm at absolute best. Lazio’s strategy may still barely work, but not if you believe the latest poll. It is great news for Paladino, and horrible for Lazio. Labor Day is now past us, and that means Politics takes center stage. The unofficial start of the fall campaign. The time, that polls show voters really start paying attention. 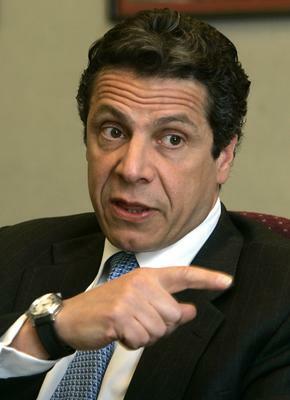 Andrew Cuomo appears unstoppable towards the job once held by his father. You name the Category. Cuomo has much higher popularity, name recognition, and is far ahead in fundraising. It seems like so long ago when Cuomo posted the video statement online announcing his candidacy, promising to change the notoriously shady culture of Albany.